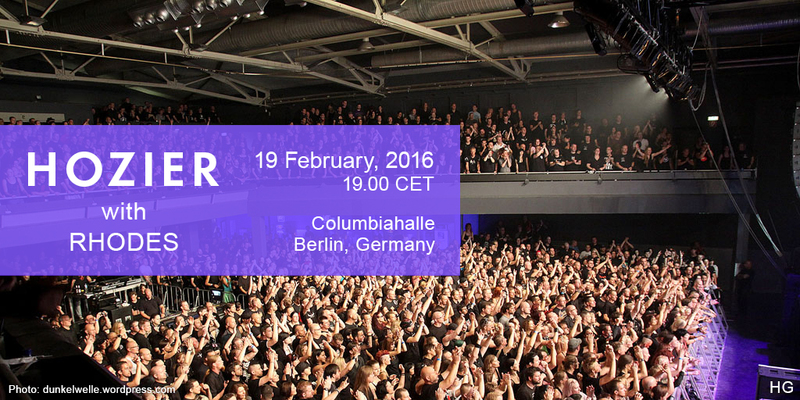 Hozier played the Columbiahalle in Berlin, Germany on Friday, 19 February, 2016. Rhodes open. Capacity 3,500. Hozier introduced a new guitar to his live show. Read more about Raven. Full video of Young American available here. Full video of Cherry Wine available here. Andrew Hozier Byrne, thank you for an incredible night. Ich leibe dich. The Irish in Berlin were showing their support for their countryman last night. @Hozier @HoziersGuitars ceolchoirm den scoth i mBeirlín! Geiles Konzert! And no show is complete without the bow at the end! Tagged Berlin, Columbiahalle, Germany, Rhodes. Bookmark the permalink.